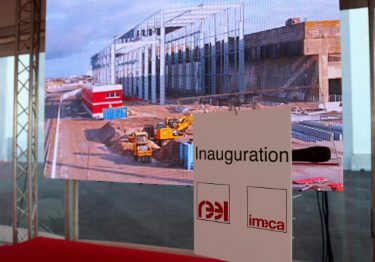 IMECA > News > A mighty weighty historical delivery! 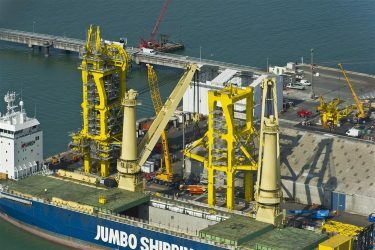 On April 27, 2015, IMECA delivered to the Atlantic port of La Rochelle the first elements of a contract to supply a 550-tonne capacity pipe-laying tower, and a 3,800-tonne capacity carousel. That meant a 630-tonne traction winch and its 35-tonne storage winch—the first provides the tensile force, while the second stores the 4,000-meter cable. 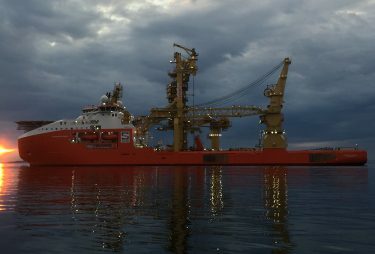 The mission of these winches will be to place or retrieve packages from the ocean floor at depths of as much as 3,500 meters. weight of the storage winch: 94 tonnes. These are the most powerful winches ever made by Imeca. Our teams and partners had to adapt—it wasn’t always easy—to their outsize dimensions. These mechanical, electrical, automatic and hydraulic winches were designed by our various research departments in Fontenay-le-Comte. Our manufacturing facilities in Villefranche, Fontenay-le-Comte and La Rochelle made the main components. Manyparts were of course subcontracted. All the hoists were assembled—and then tested—by our La Rochelle teams. Less than 12 months were needed to design, build, install and test these winches. These winches are on the scale of the VARD Group’s boat, the Norman Maximus. Given their large size, our winches were installed in Rumania, before closing the bridge. Installing the winch in the ship is also a first, because the traction winch is to be suspended from the ceiling of the engine room. The hull will then be towed to Norway where we will deliver the tower and the carousel in January 2016. Our teams will go aboard and test the equipment there. 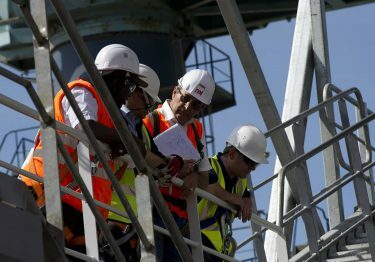 At each stage the DNV (Det Norske Veritas)certification body will check the compliance of the work. Before being delivered each winch is fully tested in the factory, in the presence of our clients and the DNV. Special test benches were designed and made by us to perform traction tests of up to 700 tonnes.